Jeannette Armstrong is Syilx Okanagan. She currently holds the Canada Research Chair in Indigenous Okanagan Philosophy at UBC Okanagan. She received her Ph.D. from the University of Greifswald based in her research in the Syilx environmental ethic expressed in the Nsyilxcn language and Syilx oral literatures. 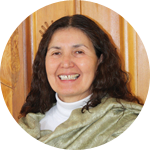 She is recipient of the EcoTrust Buffett Award for Indigenous Leadership, the BC Community Achievement Award and in 2016 the BC George Woodcock Lifetime Achievement Award for Literature. Her published works include contributions of poetry in a wide variety of collections, prose and children’s literary titles and academic writing on Indigenous issues. An award-winning writer and former faculty member of Harvard University, Dr. Cullis is president and co-founder of the David Suzuki Foundation. She has been a key player in environmental movements in the Amazon, Southeast Asia, and British Columbia. She was a founder of the Turning Point Initiative of Coastal First Nations in BC (now known as the Coastal First Nations Great Bear Initiative) which links the First Nations of the Central and North Coast of British Columbia into an historic alliance, protecting the ecology of the region known as the Great Bear Rainforest. Tara has been adopted and named by the Haida, the Gitga’at, the Heiltsuk and the Nam’gis First Nations. 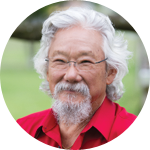 She has been married to David Suzuki for 45 years. An active campaigner and highly effective organizer, Tara founded or co-founded nine organizations before starting the David Suzuki Foundation in 1990. 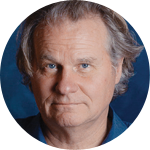 Wade Davis is Professor of Anthropology and the BC Leadership Chair in Cultures and Ecosystems at Risk at the University of British Columbia. Between 1999 and 2013 he served as Explorer-in-Residence at the National Geographic Society and is currently a member of the NGS Explorers Council. Author of 20 books, including The Serpent and the Rainbow, One River, The Wayfinders and The Sacred Headwaters, he holds degrees in anthropology and biology and received his Ph.D. in ethnobotany, all from Harvard University. His many film credits include Light at the Edge of the World, an eight-hour documentary series written and produced for the National Geographic. Davis is the recipient of 11 honorary degrees, as well as the 2009 Gold Medal from the Royal Canadian Geographical Society for his contributions to anthropology and conservation, the 2011 Explorers Medal, the highest award of the Explorers Club, the 2012 David Fairchild Medal for botanical exploration, the 2013 Ness Medal for geography education from the Royal Geographical Society and the 2015 Centennial Medal of the Graduate School of Arts and Sciences, Harvard University. His books have appeared in 19 languages and sold more than a million copies. Into the Silence: The Great War, Mallory and the Conquest of Everest received the 2012 Samuel Johnson prize, the top award for literary nonfiction in the English language. In 2016 he was made a Member of the Order of Canada. Guujaaw is from the Gakyaals Kiigawaay (Skedans Raven Clan) of the Haida Nation. 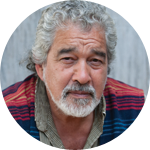 He has been at the inner circles of Haida culture and politics all of his adult life. In addition he is a carpenter, canoe builder, copper maker, singer, medicine practitioner and carver. He was mentored and supervised by his maternal grandmother’s mother for many years, dancing, singing, learning about medicines and hearing the old stories. In his youth his maternal uncle, trained him by being out on the land to be a trapper, and like most of his people, he also became and continues to be a hunter, fisher and food gatherer for a living. For many years he fought and eventually changed the abusive logging practices, protecting cultural and ecological values including the whole scale protection of Gwaii Haanas Haida Heritage Site, starting in 1975 leading to the signing of the Gwaii Haanas Agreement in 1993. This area is under the designation of Park Reserve until such time as it is settled on Aboriginal ownership through court or treaty should the Haida decide they want to go through that process. He was also involved in securing a Trust Fund for Island communities, which is now worth more than one hundred million dollars ($100, 000,000.00) the interest is spent on community infrastructure annually. In April of this year 2017, Guujaaw with his clan and witnesses, formally accepted and made legal through the potlatch system, the position of ‘Laana AwGa for the Gakyaals Kiigawaay from K’uuna Llnagaay. 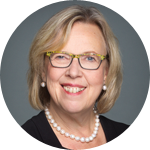 Elizabeth May is Leader of the Green Party of Canada and its first elected Member of Parliament, representing Saanich-Gulf Islands in southern Vancouver Island. In 2005, Elizabeth May was made an Officer of the Order of Canada in recognition of her decades of leadership in the Canadian environmental movement. She graduated from Dalhousie Law School and was admitted to the Bar in both Nova Scotia and Ontario. 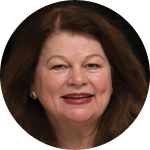 She practiced law in Ottawa with the Public Interest Advocacy Centre prior to becoming Senior Policy Advisor to the federal minister of the Environment (1986- 1988). For seventeen years Elizabeth served as Executive Director of the Sierra Club of Canada. A proud mother and grandmother, she lives in Sidney, British Columbia. Elizabeth is the author of eight books, including her most recent book Who we are: Reflections on my life and Canada.